*I paid for all Fertile Heart Program elements out of my own pocket before I was a blogger. This post, does, however, contain affiliate links which at no cost to you provide me with some small change to keep this blog running! If you decide to buy something I recommend or do a teleconference series or in-person workshop with Fertile Heart, please consider clicking through one of my links to help support this blog and my family! Thank you! Bottom Line Up Front: I love this program. I know it isn’t for everyone, so I’ve written up this review to help you decide whether or not it is for YOU. Pros: The visualizations are incredible, Julia Indichova (founder) is magic, the body work is perfect, great bang for your buck, you change your whole approach to your baby journey and get happy and fertile. Cons: It is confusing to start as there is no easy start-up guide, Julia’s language (76 Orphans, Ultimate Mom, etc.) can be confusing until you learn it, and for some people (like my husband) her accent can be annoying. Personally, I find it charming. I had been told by two doctors that IVF probably wouldn’t work for me. They said with my high FSH, low AMH, and limited day 3 follicles I was basically approaching menopause. We were trying to figure out how to afford IVF, even though 1) It probably wouldn’t work, 2) I was terrified and didn’t want to do it, and 3) It was outrageously expensive and we didn’t qualify for any discounts or shared risk programs. The latest doctor had made it clear- IVF was probably a money sink of failure, and the only thing that would really work for us was donor egg IVF. Which, of course, was even more expensive. It had been almost two years of trying to get pregnant, and the chemical pregnancies and miscarriages had made me depressed. Taking my morning basal body temperature, limiting my caffeine and sugar, trying to do yoga . . . it all made me stressed. I was stressed thinking about how stress was making me stressed. Trying to just “relax” made me crazy. This was my infertility rock bottom. I would just sob when my husband would ask me about next steps. I had to take a break from trying, and I wasn’t sure how to start trying again in a way that wouldn’t make me completely stressed and depressed again. Enter Julia Indichova and the Fertile Heart Program. 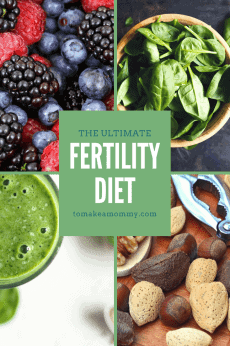 This program truly changed my fertility journey, empowered me to own my own health, healed my heart of my miscarriages, and helped me become my most fertile self ever. I got pregnant about 2.5 months after doing a teleconference series with Julia. Granted, I was doing many other lifestyle changes as well (Read about them here), but this program was the catalyst for everything. I cannot recommend this program more, and I am so excited I am finally writing this review! Who is the Fertile Heart Program For? The program is for anyone trying to conceive, but those that will find it the most beneficial are women struggling with infertility. This program is truly for women who feel like giving up after a diagnosis of “impossible,” or repeated failed IUIs and IVFs. This program is also for women who are ready to WORK. You can’t just read the book, show up to an event, and then magically expect pregnancy. You have to DO THE WORK. You have to LIVE THE PROGRAM. You have to change your mind, your heart, your lifestyle, etc. As I always say, you have to do ALL THE THINGS. If you don’t think you are quite ready for this program, there are other options. One great option is Circle & Bloom. They have fantastic fertility meditation programs that are easy to use. You buy them- they are each about $59 unless they are having a sale- download them, and listen to them. Boom, done. You get full body relaxation and visualization of a successful full month cycle for: Natural Cycle, IUI/IVF, Frozen Embryo Transfer, Donor Egg, or PCOS Fertility Healing. They even have a new one for embryo donation! But if you are ready for MORE, for an active role in your healing, then you NEED to do the Fertile Heart Program. What is the Fertile Heart Program? You can get a little confused on the Fertile Heart website, but basically Fertile Heart is the online community that is part of creator Julia Indichova’s OVUM Fertility Practice. She also uses the term I.B.O.W. practice in her literature. 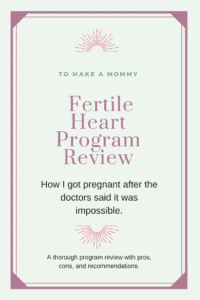 In this post, I will refer to them all as the Fertile Heart program- because really, it is all part of Julia’s fertility magic. Unfortunately there is no “quick start” guide to the program, which can leave you kind of confused if you are just looking around the website. Basically, this is a tailored self or group mind-body program for healing from the emotional pain of infertility and becoming more fertile than you ever imagined. Read Inconceivable and The Fertile Female. If you like the books, continue to number 2. Spend time on the Fertile Heart website. Read success stories, and watch videos of Julia Indichova. If you like what she is saying, continue (I loved what she was saying!). Be sure to sign up for her newsletter so you know what events are coming up. Consider joining her message boards and start reading what people are saying. 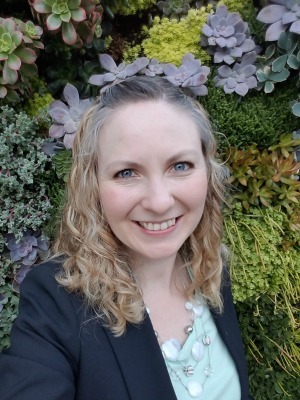 Sign up for a 3-series Intro Fertility Teleconference Series ($297 single or $347 couple), or for an All Day in-person workshop with Julia ($347 single, or $497 couple). She holds them at her studio in Woodstock, NY. Order her CDs or download the files- you’ll need them to complete the homework from your series or workshop! These are the ones you need: Body Truth: Double Audio CD; Fertile Heart Imagery; and Fertile Heart Imagery 2: The Ovum Birthing Practice in Pictures. Once you have them, listen to the intros of all the CDs, and feel free to listen through the different imagery and body truth series and see which ones speak to you. You can start doing them if you want! Dream Journal every morning as soon as you wake up. Do one of the imagery exercises right after your dream journaling (Julia will help you pick which exercises are right for you if you ask for help). Sometime during the day do one of the Body Truth Exercises. Before going to bed do a different one of the imagery exercises. Feel happier, more fertile, and closer to your baby!! Do I really need to attend a teleconference or in person workshop? In my opinion, to get the most out of the program, YES, absolutely. While Julia’s books and website are great, sometimes you can get lost in the sheer amount of information. For me, the real nuggets that changed my entire approach came out of interactions with Julia and the other women on the teleconference series. Then, DOING the practice- the dream journaling, the imagery exercises, the body work, etc. – made it all real and continuing. Then, well, I got pregnant! Naturally! Right before we would have started IVF. I continued to use some of the Fertile Heart Imagery and Body Truth work throughout much of my pregnancy, to alleviate my fears of miscarriage. I had a great pregnancy and have a gorgeous two year old boy. 1- Julia challenged me to give up dairy. 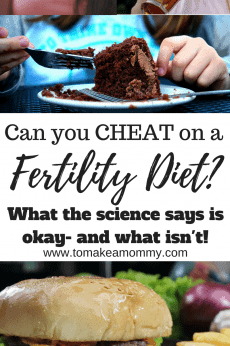 I had been chugging whole fat lactose-free milk since I had read it was a “Fertility superfood.” The problem was, it wasn’t for ME. Julie helped me realize I need to tailor the diet to MY needs, and the first step was going cold turkey with dairy. 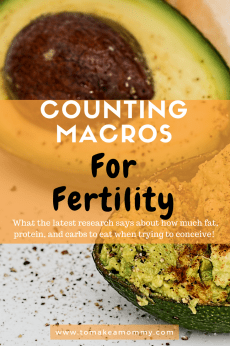 That soon led to me fully and completely committing to my Ultimate Fertility Diet. 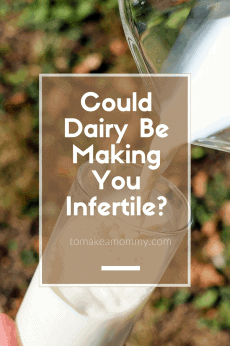 Read more about dairy and fertility here, and about how to tailor a fertility diet to YOUR needs here. 2- Julia convinced me that ALL emotions were good. There were no bad emotions. Stress, anxiety, anger, all of that was ENERGY that proved I was alive and fertile. The program helped me channel those emotions into fertile energy. 3- Julia said that terms like “stress” and “relaxed” were oversimplifications of the human condition and she had no use for them. I loved that. I stopped talking about stress and relaxation. Of course I was stressed! That didn’t matter. What mattered was fertility. 4- Most importantly, Julia and her program convinced me that I didn’t have to heal every single wrong I’d ever experienced. I didn’t have to spend 10 years in therapy for every issue I had talking it to death. All I had to do was recognize those little parts of me that were hurting, scared, or angry. I just had to say, “Hi. I love you. Let’s snuggle.” THAT was the healing. It was okay to still be hurt, scared, or angry, as long as I acknowledged it and loved myself anyway. 5- Most importantly, the program convinced me to fully, wholly, and completely commit to my baby journey. I stopped being afraid of failure, and I decided NOW was the time to do ALL the things. 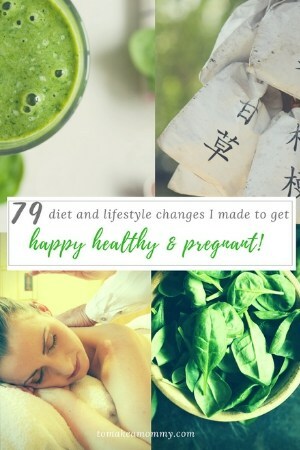 You can read here about all 79 things I wound up doing to get pregnant! I totally committed to her OVUM practice. When I woke up in the morning the first thing I would do was dream journal. The next thing would be listen to one of the Fertile Heart Imageries that Julia had helped me select, or that had spoken to me when I listened to the tracks. Sometime during the day I would whichever of the Fertile Heart Body Truth tracks felt right to me then. Then before bed I would listen to another one of the Imagery tracks and do the visualization. Of course, this wasn’t all I was doing. I had a full day of mind-body fertility work that this was part of. But, this program was really the catalyst for all of it. I still have my dream journal, which I continued through most of my pregnancy. When I read back through it I am struck by the diverse and detailed stories I wrote down. But most importantly I am struck by how many visits from deceased relatives I wrote down. My cousin who passed away, great-grandmothers, my grandfather, all show up regularly in my dreams. If I hadn’t written them down I wouldn’t have remembered, wouldn’t have known. As part of the Fertile Heart OVUM work I specifically started asking my ancestors to support me and guide me in by healing and baby journey. After my positive pregnancy test, I kept doing the program. I kept dream journaling, and I used a number of the imageries to reassure myself as I was terrified of pregnancy. There was one I would do every morning- I would visualize wrapping myself in a warm blanket made of the love and wisdom of my ancestors. I would think of all of their successful pregnancies and know that I could do it to. And I did! My toddler is two years old and I am trying to buckle down and do the program (and all the other 79 things!) again. I’m even thinking of flying up to a one-day class with Julia! I loved Julia Indichova’s books, but I just did a 3-call teleseminar with her and it honestly kind of sucked. On the last call, we were supposed to say “Right now I am choosing to walk the path of ___.” I said that I was choosing to walk the path of IVF with my own eggs, and she basically put me down and said that I “should” be doing natural conception. Well guess what, lady, I’m on month 42 of trying for a baby and I’m very much at peace with doing IVF. I have tried the visualizations, diet, non-toxic lifestyle, etc. and I am totally comfortable seeing what science can do for me. Then she told everyone to buy her book even if we already had a copy of her book because she wants to keep it in print. WTF??? It all felt kind of like a sleazy marketing thing. Ughh, Karen, this makes me so sad 🙁 When I did the teleconference with her she seemed supportive and open to all paths towards baby, but this sounds like she might be narrowing her “approved approaches.” 🙁 And if you are at peace with something its totally sad to have someone in a place of power second guess you. PLUS I really think that the all the tools make IVF even more effective, so its important to not ostracize women who are pursuing assisted reproductive technologies. Her work was truly life changing for me, but it seems like it doesn’t work out that way for everyone :(. Anyway- BABY DUST to you on your journey and I hope you meet your baby soon!!!! Hi Min! I’m sorry you didn’t get as much out of it! It was truly life-changing for me, but her message really resonated with me and my journey plus I was at the exact moment when I was willing to go ALL IN and be fully engaged. If you’ve found any other mind-body work that really worked for you, please let us know!! Do you think the program with Julia is too one-sided focusing on just the female if I only I attended the conference and my husband did not? I ask because not only do i have high FSH, .1 AMH (almost non existent) and age 39, my husband has low motility, count and morphology. 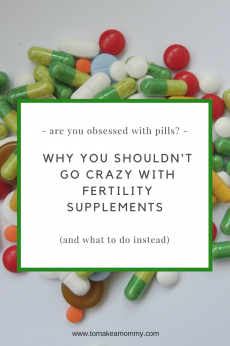 We did conceive naturally our son three years ago – our miracle baby, after doing a lot of work like this and with my naturopath and acupuncture after IVF failed, but we are older now and our results are worse than in 2014. I only just discovered Julia recently and felt like I did so much of what her books said with our first pregnancy with the exception of the healing imagery. The 2nd time around is proving to be so much harder. Just wondering what else can be done for my husband if I do all of this work to become more fertile (ready and willing!) but the sperm are not quite good enough to get there?